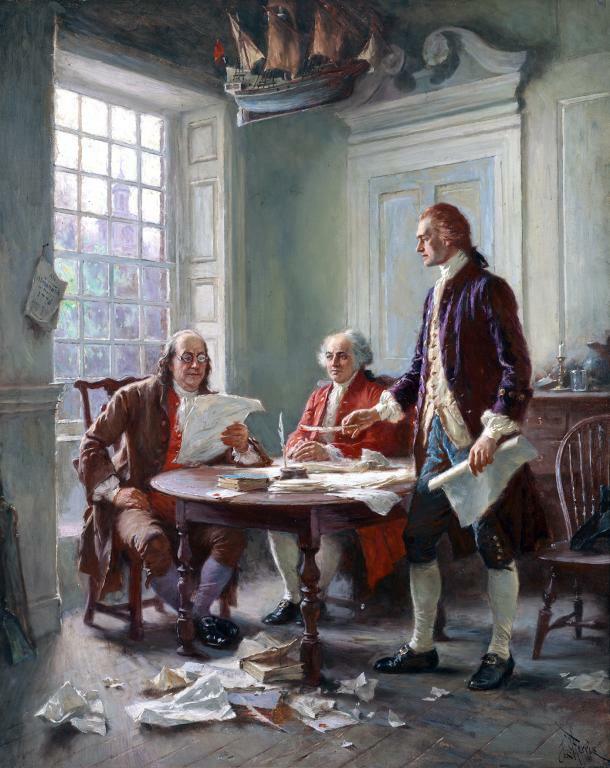 Writing the Declaration of Independence, 1776, by Jean Leon Gerome Ferris. Thomas Jefferson, John Adams, and Benjamin Franklin were named to a committee to prepare a declaration of independence. Jefferson (standing) did the actual writing because he was known as a good writer. Congress deleted Jefferson's most extravagant rhetoric and accusations. You may view the original document online at the National Archives. View how the surrender at Yorktown was represented by artists.